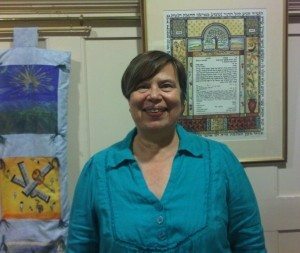 Rabbi Janet Darley is a graduate of Leo Baeck College in London and was ordained in July 2009. She began serving South London Liberal Synagogue (SLLS) as its minister in 2008 while a final year student. Originally from Salt Lake City, Utah, U.S.A., Rabbi Janet moved to the UK in 1989. Before fulfilling a long-held dream of studying for the rabbinate, she was a Senior Lecturer in Economics at Kingston University and previously worked as an applied economist in local government in the United States. She has been active in a number of congregations both here and in the States and brings much knowledge and experience to her rabbinate. She is committed to the prophetic vision of social justice and the ethical monotheism espoused by the founders of the progressive Jewish movement. Rabbi Janet holds degrees in Economics, Public Administration and in Hebrew and Jewish Studies. She gained a distinction for her MA dissertation on European and American rabbinic sermons of the First World War.